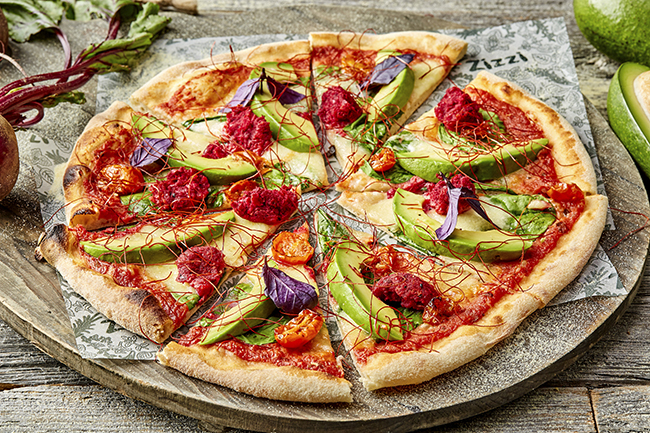 Veganuary embracing Brits can celebrate the month in style at Zizzi with a *2 for 1 offer on all main vegan dishes and the launch of the new Arcobaleno Pizza, created in collaboration with The World Avocado Organisation. The new dish has been suitably named The Arcobaleno, meaning ‘rainbow’ in Italian, due to the array of eye-catching colours on the pizza which come from the variety of delicious ingredients including; pink beetroot ‘beetballs’, sun blushed tomatoes, tasty chilli threads, vibrant purple basil and, of course, the UK’s favourite superfood, the avocado. The pizza can also be made non-vegan by switching the cheese type. 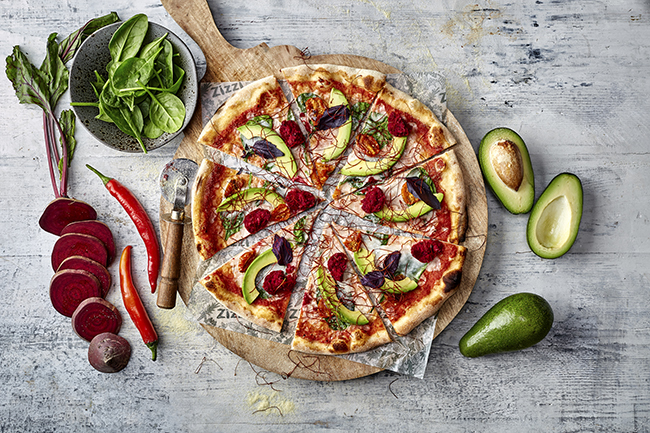 To help create the new dish, Zizzi have teamed up with The World Avocado Organisation which has reported that sales of the UK’s favourite superfood have grown phenomenally, with an increase of over 180 per cent since 2013. “We’re excited to work with Zizzi to launch the Arcobaleno Pizza during Veganuary 2018. The month of January is a time when being good to our bodies is high on our minds and eating well is a big part of achieving such goal. Avocados are the right choice to help you eat well as they haveincredible health benefits. Data released by Zizzi show that sales of vegan dishes have risen by 246 percent since 2016 and is expected to continue to soar in 2018, meaning that chefs need to think outside the box when it comes to menu development. Zizzi was the first high-street restaurant to market with a hugely successful Vegan cheese alternative and the Italian chain has continued to innovate and add more vegan options to the menu. Just in time to celebrate Veganuary and to lift January Blues, the new Arcobaleno pizza will be available in conjunction with a *2 for 1 offer, along with all main vegan dishes on the Zizzi menu during January. *The 2 for 1 price of one offer is valid all day Sunday – Thursday between 2nd– 31st January 2018, excluding Friday & Saturday. The two for one offer on vegan main courses is valid for a max of 8 people and excludes Bambini Kids menu, nibbles, starters, sharers, sides & desserts. The cheapest vegan main course will be free. Offer not valid in conjunction with any other offer, voucher, set menu, eTesco tokens or Tastecard. This offer is available on Zizzi takeaway when you order & collect through the restaurant however is not available on Deliveroo orders and excludes Dublin Suffolk Street & Dundrum. Zizzi reserves the right to withdraw this offer at any time and without notice.